Police Accountability Project > Independent Investigations > Can civilians investigate police misconduct? Who will investigate police misconduct if the police can’t? Currently, if there is a death in police custody, a police shooting incident, an allegation of unlawful assault, or of racist or discriminatory behavior by police in Victoria, other Victoria Police members will investigate it. There is no institutional, practical or cultural separation between the investigators and the police they are investigating. But this is under rare public scrutiny at the moment. 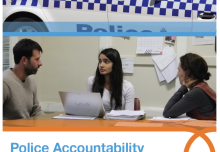 Before the Inquiry into the external oversight of police corruption and misconduct in Victoria, being conducted by the parliamentary IBAC Committee, are a set of persuasive arguments for a fully independent investigative model for police complaints. Public hearings this week, during which Victoria police, the police union, and an array of community, legal and human rights organisations are providing further evidence, are focused upon some of the finer details of what an accountability system that is entirely independent of police would look like. Including the pertinent question of how people who are not police could investigate things like deaths in custody or police shootings or allegations of police misconduct. Are police the only professionals with investigative skills? The claim that police are the only people who have the skills and experience to investigate potential crime scenes is made whenever there is a discussion of the need for independent investigations. It is a myth of course. Firstly, investigations of police shootings or officer-involved deaths are different to criminal investigations in very important ways. The identity of the subject officer and other parties are usually known from the outset. This means that investigators don’t have to identify and seek out a suspect, such as in a murder or shooting, but can focus on whether a police officer’s use of force or conduct was lawful or justified under the circumstances. Secondly, in Australia and around the world, trained, civilian investigators, people who are not police, already undertake a huge range of complex and sophisticated criminal investigations in a wide variety of contexts. From WorkSafe investigations, to cross border crime, to serious air crashes, civilians are leading and conducting investigations, some involving multiple deaths, serious injuries and involving a vast array of potentially unlawful conduct. Civilians in specialist roles are maintaining accident scenes, gathering, recording and analyzing forensic evidence and interviewing suspects, witnesses and other parties. In some cases they may prosecute or bring suspects to court. Civilian investigators from Australian Transport Safety Bureau (ATSB), an independent Commonwealth statutory agency, take control of a serious accident site after emergency services have declared it safe. They photograph and record all the evidence on the ground or associated with the wreckage of the aircraft. They may arrange for wreckage, components and other material evidence to be transported for further forensic examination. They examine logbooks, maintenance records, and company documents. 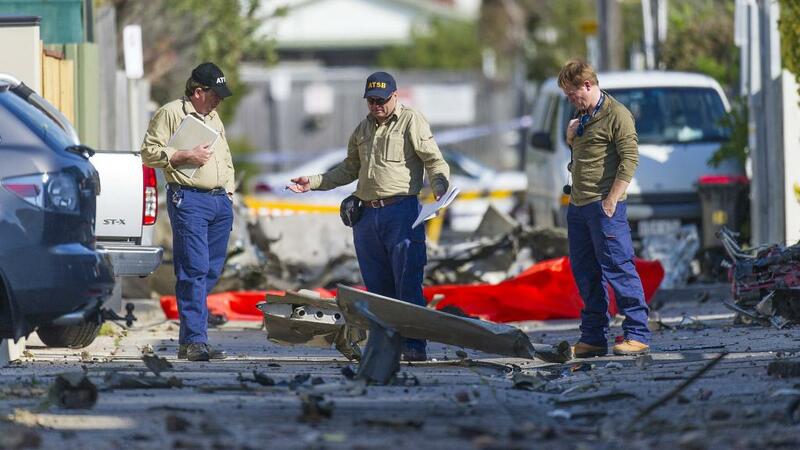 ATSB investigators will interview the pilot, passengers and other witnesses. They may also visit the departure and destination airfields and interview the pilot’s acquaintances and officials, including air traffic controllers, They may also examine data concerning airfield operations. In other words they will conduct a thoroughly professional and entirely independent investigation and they are not police. Internationally, civilian human rights investigators conduct detailed, forensic investigations into massacres, mass rapes, killings, torture and other war crimes, crimes against humanity or serious human rights violations. 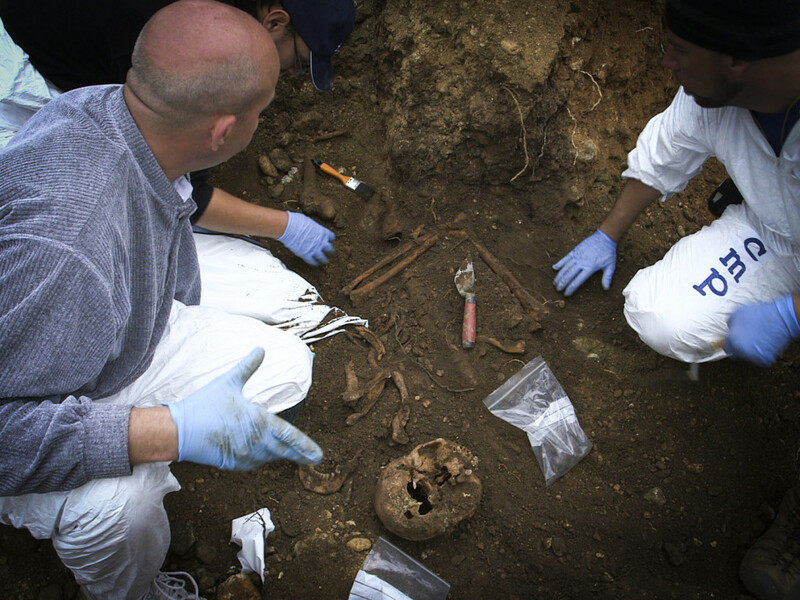 They hold knowledge of international humanitarian and human rights law; essential investigation skills; documenting crime scenes (including non-invasive recording techniques; enhanced interviewing skills; forensic death investigations (injury identification, and exhumation of human remains). Civilian investigators may be employed by the United Nations, NGO’s or tasked by one of the human rights or International Criminal Courts. 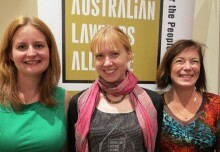 Essentially, if you include these skill sets and others from legal, human rights, insurance, inspection and other regulatory backgrounds, there exists a sizable hiring pool of civilian professionals with skills and experience that any new independent complaints body in Victoria could recruit from. You don’t have to be a police officer to learn how to conduct investigations either. Any of these units of competency, including those within the Advanced Diploma of Police Investigation (POL65115) currently provided by state or Federal police, could be incorporated into a specialist course tailored for a newly independent police complaints body within Victoria. Couple this with specialist courses, sitting in on some Police Academy training, ride-alongs with police patrols, and an in-house training program you have a sound training program for new civilian investigators. 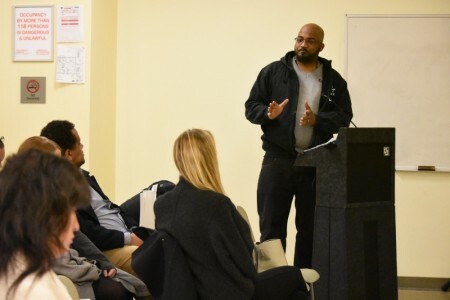 New York Civilian Complaints Review Board, which is the largest such body in United States, (but under-staffed proportionate to the New York population) employs 100 non-police investigators in field teams of 6-8 people. They also have an intake and case management team of twelve people. The much smaller Washington DC Office of Police Complaints (OPC) has ten civilian investigators and 2 investigation managers on staff with apparently 130 years of investigative experience between them. Both of these bodies, like most civilian police complaint agencies around the world, include staff with a background in policing. But what about former police as independent investigators? Can former police be impartial enough to conduct non-biased investigations of complaints against police? This question was examined by judge Michael H. Tulloch in his extensive review of independent police oversight in Ontario, Canada. He goes on to say that the ‘ideal’ police oversight investigator would be someone who is a skilled investigator of crime or police misconduct, whether by past experience or through further training. Tulloch’s second focus was on finding the most appropriate balance in the composition of their investigative teams. Hopkins states that civilians can and do perform investigations in civilian bodies and that they can be trained to be highly effective. 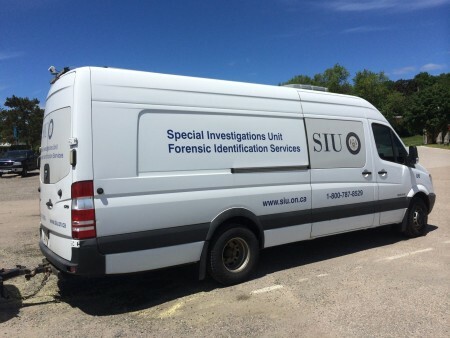 Currently the independent Special Investigations Unit (SIU) in Canada have forty-seven former police officers out of a total of seventy investigators (about 67 percent). For non-forensic investigators, the total is thirty-six out of fifty-nine (about 61 percent). All other police oversight bodies in Canada and the United Kingdom continue to employ former police members in their respective independent investigative teams. British Columbia’s Independent Investigations Office is the only oversight body in Canada that aims to eventually be staffed entirely by investigators who have never been police officers. There, investigators must not be current police officers and must not have served as police officers in the province within the previous five years. In the UK, where the high percentage of police investigators within the Independent Office for Police Conduct (IOPC) led perceptions that it was a “second home for police officers” and a loss of public confidence. The IOPC have worked in more recent years to get the balance right and launched a recruitment drive and implemented a trainee investigator scheme to train investigators from non-police backgrounds. Recognising the need for independence in its investigative staff, PONI runs sophisticated, training programs for its staff through the University of Portsmouth. When investigating police-involved deaths, investigators work in mixed background t eams (approximately 25% from PONI’s Trainee programs, 20% are former police officers and 55% come from other legal enforcement/criminal enforcement roles). Investigators who do not have a background in policing enhance the police complaint body’s appearance of independence and impartiality. Including investigators from different backgrounds helps diversify the skill set and perspectives within the team. He recommends that oversight bodies also should conduct personality assessments to screen candidates for discriminatory biases, self-awareness, and any behavioural or attitudinal issues. The required qualifications and experience of oversight investigators could be set out in regulation. In summary, an independent police complaints investigative unit would need to strike a balance between team members with police and non-police backgrounds and aim for a diverse skill set and cultural competencies. It should be staffed by people who reflect the community and represent a range of ethnic, religious, indigenous, disabled and gay, lesbian, queer identified and trans-gendered communities. It would need to incorporate strong anti-bias measures into hiring, training, education, and evaluation. Victoria needs to cultivate investigative capacities within an independent body, as the PONI has done, and the IOPC is doing, to meet its human rights obligations. To achieve this, multi-disciplinary teams embedded within an institutionally independent police complaints body (or within the Coroner’s Court’s Coroners Prevention Unit – which currently undertakes only secondary and tertiary analysis – they are not primary investigators) or within IBAC. Initially, former officers from outside Victoria could be utilised to build expertise. Partnerships could be built with universities to develop accredited training programs to build in-house expertise, as PONI has done. In addition, internal policies and selection /screening criteria for applicants should be developed to ensure a culture of independence is developed and recruited for and that investigative staff come from diverse backgrounds, which reflect the community. The Inquiry into the external oversight of police corruption and misconduct in Victoria, is due to report by the end of June 2018. The vast majority of submissions so far have supported a model that meets five internationally agreed benchmarks for police investigations. These are effectiveness, promptness, transparency, being victim-centred and being what is termed culturally, hierarchically and institutionally independent of police. To meet these benchmarks, Victoria will require a properly and securely funded body, with the capability to conduct effective investigations across the state. 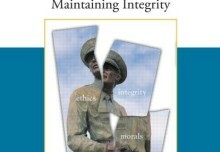 Its investigative teams must be well-trained, adequately paid and civilian in background and composition. It is certainly possible and feasible that this be so. This inquiry represents the first time parliament has looked seriously at this critical aspect of police accountability since the Beach Inquiry that was tabled forty years ago. The stakes are high and the committee is justifiably feeling the pressure to get it right. Independent Investigations Office of British Columbia, “FAQs” (2016), online: Independent Investigations Office of British Columbia <http://iiobc.ca/faqs/>. Interview with Executive Director, Michael Tobin, August 2017.
 Review of the IPCC’s work in Investigating Deaths (IPCC, March 2014), pages 9 and 23. Correspondence with Paula Gillespie, Senior HR Officer, Office of the Police Ombudsman for Northern Ireland, 24 February 2017.